Grace and peace. Sunday was the beginning of Advent and that means a time to slow down and savor the moments of our lives. I preached about this important spiritual practice this past Sunday. Unfortunately, life continues to move quickly alongside us, so finding peace is often a challenge. I have sad announcements this week. First, our PRAY Youth leader, the Rev. Sue von Rautenkranz will be leaving her role with us at the end of December. Sue served us part-time for two years while she also worked part-time for Bishop Mariann at the Diocesan office. Bishop Mariann has asked her to move to full-time in 2019. Sue will be greatly missed, particularly by our youth. A letter from Sue is below. Federico Luna is also leaving his role as Sunday Sexton at the end of this year. Federico has served in this capacity for over five years. He is leaving because of a great opportunity. During the week, Federico has worked for Capitol Maintenance Company for about 20 years. The owner recently retired, and Federico was able to take over the company. The added responsibility of managing the company combined with his Sunday work at St. Patrick’s didn’t give him the time he needs with his family. We have also added a new team member at St. Patrick’s. 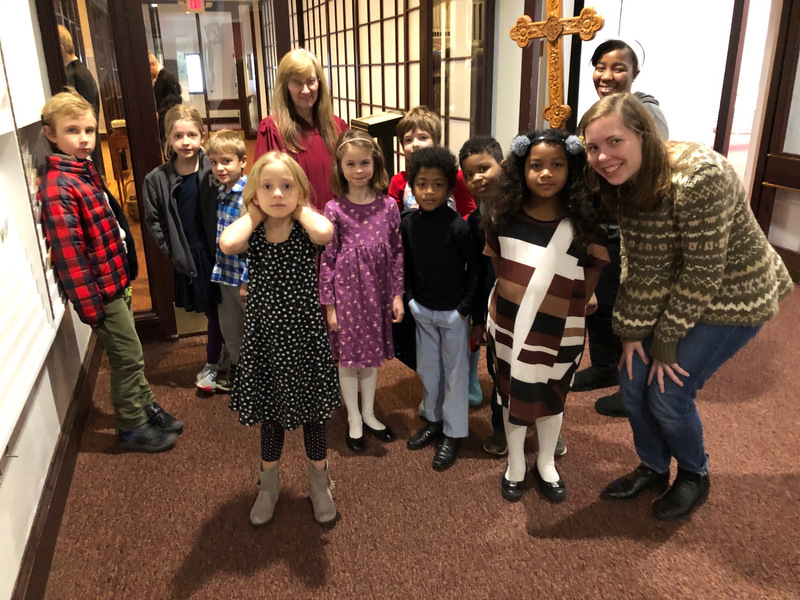 Madeleine Deisen, a GW freshman, will serve as our primary storyteller for Children’s Chapel on Sunday mornings (far right in picture). I am glad that Madeleine has joined our team, and hope that parents will introduce themselves to her this Sunday. Children’s Chapel is offered for children age 3 – Grade 5 during the 10am service. I call your attention to three events on Sunday, December 16: the Jubilate Deo mini-musical during the 10am service, the delivery of the St. Philip’s Christmas Dinner bags, and the youth caroling event at Sibley’s Oasis (see information below about this important Advent events).